I have been in Vancouver for some time now, but it’s surprising how much the city still has to offer. Once the usual attractions are out of the way-Stanley Park, the downtown core, and Granville Island for instance-Vancouver can appear tame to first-time visitors. However, much of the city’s beauty comes from how it is many places at the same time. The North Shore, for instance, sits at the edge of an immense mountain range leading northwards to the Yukon, while the sandy beaches warm up tremendously in the dog days of summer. Ferries and seaplanes depart regularly for Vancouver Island and smaller islands dotting the Georgia Strait, while the various parks around the city offer a chance to escape into nature. Seen from the air, the city looks so fragile, a collection of slim glass skyscrapers nestled on the edge of Canada’s West Coast, bordered by the snow-capped peaks of mountains in the north. The fragility is especially worrying to geologists who have long predicted that a massive earthquake, originating from the fault lines just off the coast, is likely to damage much of the city. For now Vancouver remains peacefully oblivious; languidly welcoming each day with a laid-back confidence. The city has had many names. Hollywood North is a common one because of all the filming by American studios and television companies. Its streets stand in for practically any big city in the United States, and sometimes it has even doubled for locations as diverse as Nigeria and Shanghai. Other names include Raincouver, in recognition of the fact that the skies are bleak and grey in the winter when torrential rain pours incessantly. But the most divisive nickname is Hongcouver with its racist connotations. In the buildup to Hong Kong’s handover to China in 1997, nervous expatriates and immigrants purchased homes in the suburbs, swelling Vancouver’s population. I live in Richmond, which is just one of these suburbs. On my way to the city I board the buses and trains full of East Asian faces, the air thick with not just English but also Cantonese and Mandarin. It is interesting how the demographics noticeably change along the tracks. Once you cross the Fraser River into Vancouver, more Caucasian faces appear, and when traveling eastwards you approach the heart of the region’s East Indian and Punjabi community. My commute to UBC took me past the wealthy districts of Kerrisdale and Shaughnessy, owned primarily by old-money families, and I eventually arrive among the beautiful campus buildings and non-stop construction sites at the Point Grey campus. The university itself is a microcosm of the entire city: Cosmopolitan with a heavy East Asian influence, the lecture halls bustling with students from around the world. Downtown Vancouver is a place of contrasts. The west end is filled with affluent residents with their yachts and magnificent condominiums, but once you cross Granville Street with its lines of bars and clubs, the city’s gritty side emerges. Gastown, the original site of the city and the terminus of the Canadian Pacific Railway, takes over as you step away from the Alaska-bound cruise ships docked at Canada Place. The cobblestone streets with their hipster shops and fancy restaurants clash dramatically with the glass towers in the west. When I first arrived I spent much of my time in the gentrified surroundings, taking pictures with the quaint steam clock at the corner of Water and Cambie, but it was only later on that I began to venture further. My walks took me away from the brightly-lit storefronts and down Hastings, where the city’s poor and downtrodden were forced to live on the streets and in questionable crumbling apartments. Amidst the haze of marijuana smoke, the drugs sold openly on sidewalks, and people wrapped in old jackets carting their life’s possessions from one sidewalk to another, I listened to lectures on the need for action as rent surged. The city has run out of room to grow, hemmed in by the sea and the mountains. The only way to go is by tearing down old neighbourhoods and replacing them with new high-rises. With each new skyscraper block that rises, the poverty that grips the Downtown Eastside further intensifies as its inhabitants get hemmed in with nowhere to go. It is surprising just how different each road is from the last one when you walk down Main Street. Chinatown’s central street, East Pender, is just one block south of Hastings, and until recently was a bustling hub full of markets and Asian restaurants, and the next-door Keefer Street has a Starbucks and posh apartments. The migration of the city’s Chinese population and businesses to the more affluent Richmond has led to a general air of emptiness in Chinatown. It can be depressing walking through a neighbourhood so rich in history, but gradually losing the vibrancy of the early days, where labourers and shopkeepers and restauranteurs lived and toiled in the hope of making a living. The first Chinese settlers, mostly from several neighbouring counties in Guangdong Province, nicknamed Vancouver the Saltwater City. From here they proceeded eastward to the Rockies, working in harsh and challenging conditions to build the railway that would link British Columbia to the far cities on the Atlantic coast, tunneling through the mountains with dynamite and sheer desperation. 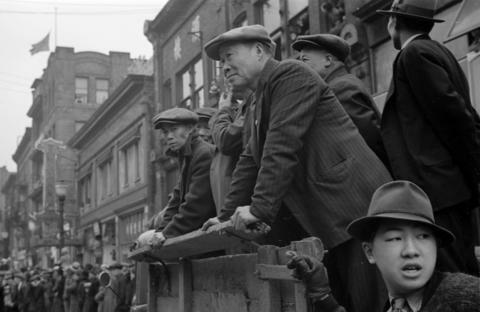 Stories of the early migrants still echo through Pender Street, from the Art Deco society buildings where members banded together to protect their interests, and the restaurants filled with the ghosts of the past century, dreaming of a chance to return to China with newfound wealth. Nearby is the site of the former Japantown, punitively emptied of its inhabitants by the authorities fearing spies and the Japanese in general. 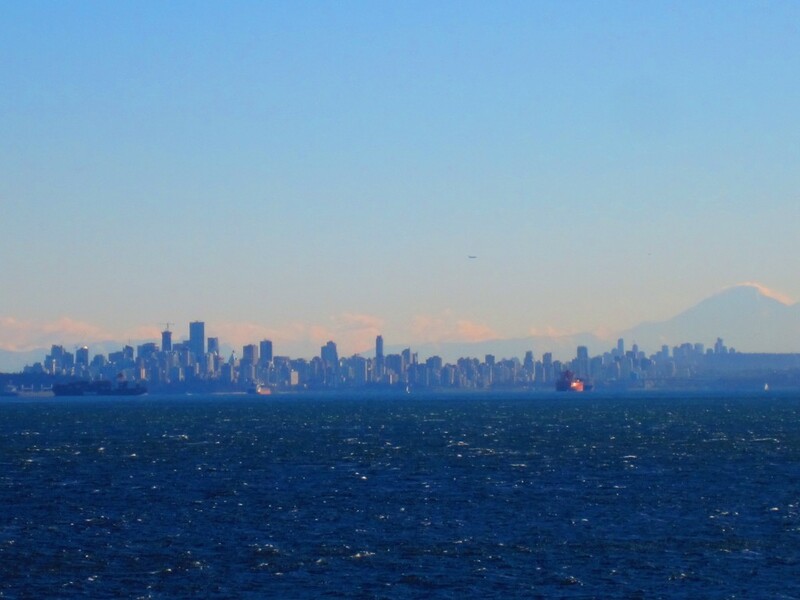 With so many issues surrounding the city, it is easy to forget that Vancouver sits atop the unceded territory of the Coast Salish people, displaced from their ancestral homes when the settlers arrived by ship and later by train, now largely reduced to the margins of society. That was the problem with the city. It was full of contrasts, but that did not stop it from being beautiful.